When married couples separate in a manner that isn’t amicable, the emotions and tension underlying the separation often rears its head when it comes to settling the issue of property division. In fact, this time has a great potential for volatility and poor decision-making, in which some spouses choose to conceal, steal, destroy, or dispose of property in order to punish the other spouse. 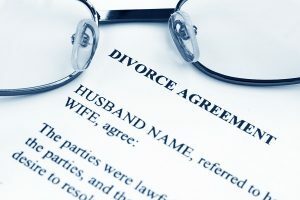 This is why if you decide to separate, your first decision should be to call an experienced family law attorney. At New Direction Family Law, we understand the unpredictable nature of separations and divorce and seek to quickly and effectively protect our clients’ interests. Upon filing an action or motion in the cause requesting an equitable distribution or alleging that an equitable distribution will be requested when it is timely to do so, a party may seek injunctive relief […] to prevent the disappearance, waste or conversion of property alleged to be marital property, divisible property, or separate property of the party seeking relief. The court, in lieu of granting an injunction, may require a bond or other assurance of sufficient amount to protect the interest of the other spouse in the property. Time is of the essence to seek this injunction. It will be critical to work closely with your attorney to identify property. You attorney can help you establish valuation of this property and to classify property as separate or marital. This is important because marital property is subject to an equitable distribution upon a couple’s divorce, while separate property remains with its owner. If you spouse takes separate property that belongs to you, the court may enter an order to return this property and award the aggrieved spouse attorneys fees and the court costs it took to enforce the return of the property. Violation of an injunction can lead to contempt proceedings, sanctions, and the court dividing property in a manner that repays the spouse who was deprived of marital property. New Direction Family Law helps clients navigate family law disputes, including separations, divorces, and child custody matters. We recognize the magnitude of this moment in our clients lives and aim to provide compassionate, respectful guidance toward a better future. If you want knowledgeable, professional representation, call us. We serve Wake, Johnston, Lee, Harnett, Cumberland, Nash, Granville, Franklin, and Durham counties. 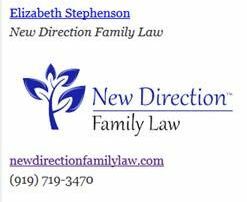 Call New Direction Family Law at (919) 719-3470 to schedule an appointment, or contact us at our website.